The telco will sell 16GB and 128GB versions of the the iPad Air on a selection of three 24 month contract plans from Friday, 1 November. Unlike Telstra, which ranges every iPad model available, Vodafone will not sell 32GB or 64GB models of the iPad Air. Vodafone plans include 2.5GB ($20 per month), 4GB ($30) and 8GB ($45) options, with the total monthly cost varying depending on which iPad model is chosen. The 16GB iPad Air starts at $49 per month on Vodafone's 2.5GB plan (a total of $1176 over 24 months), while the top of the range 128GB iPad Air paired with the 8GB plan will cost $83 per month (a total of $1992 over 24 months). Vodafone will open online sales for the iPad Air from 8.00am on Friday, 1 November, while Vodafone retail stores across Australia will sell the tablet on Friday, depending on local store opening times. While Vodafone has also announced pricing for the Apple iPad mini with Retina display, it won't sell the device until "later in November". The 16GB iPad mini with Retina is the only model of the tablet that Vodafone will sell in Australia. It starts at $45 per month on the 2.5GB ($20 per month) (a total of $1080 over 24 months), or $67 per month on Vodafone's 8GB plan (a total of $1608 over 24 months). 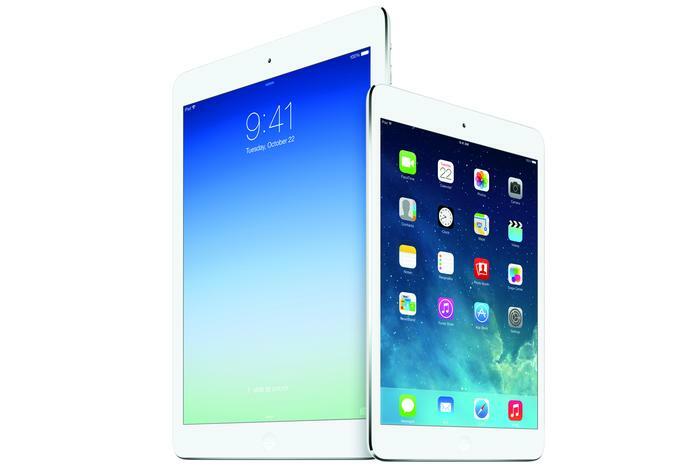 Telstra has already announced its pricing for the iPad Air and iPad mini with Retina display, while Optus is expected to follow suite in the coming days. Vodafone's full pricing for the new iPad's can be viewed below. Vodafone's contract plans for the Apple iPad Air, and Apple iPad mini with Retina Display.